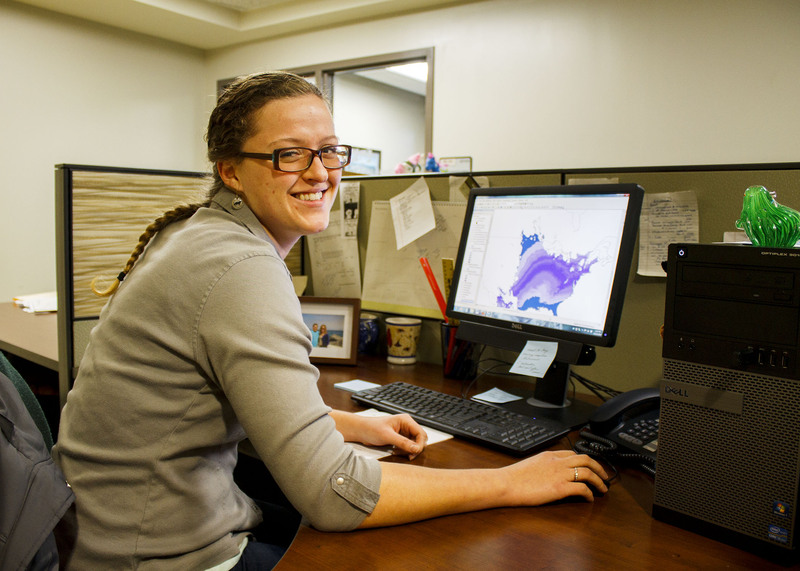 Hello, I am Rachael Van Essen, an Environmental Technician at NGRREC. My name is Rachael Van Essen, and I grew up in a rural area of Southeast Iowa running through my family’s oak and hickory forest and pastures. Through our small farm, fishing, walks in the woods and other outdoor activities, I was taught to love nature and its wonders. In college, I learned that I could take this childhood love and turn it into a career. In 2011, I earned Bachelors of Arts degrees in Biology and Environmental Science from Coe College in Cedar Rapids, Iowa. I continued in my education, and in 2014, earned my Masters of Science in Biology with a sequence in Conservation Biology from Illinois State University in Normal, Illinois. While there, I also received a Biology Geographic Information Systems (GIS) Graduate Certificate and worked on several research projects along with my thesis research. I am currently the Environmental Technician for Lewis and Clark Community College at the National Great Rivers Research and Education Center (NGRREC℠) in East Alton, Illinois.